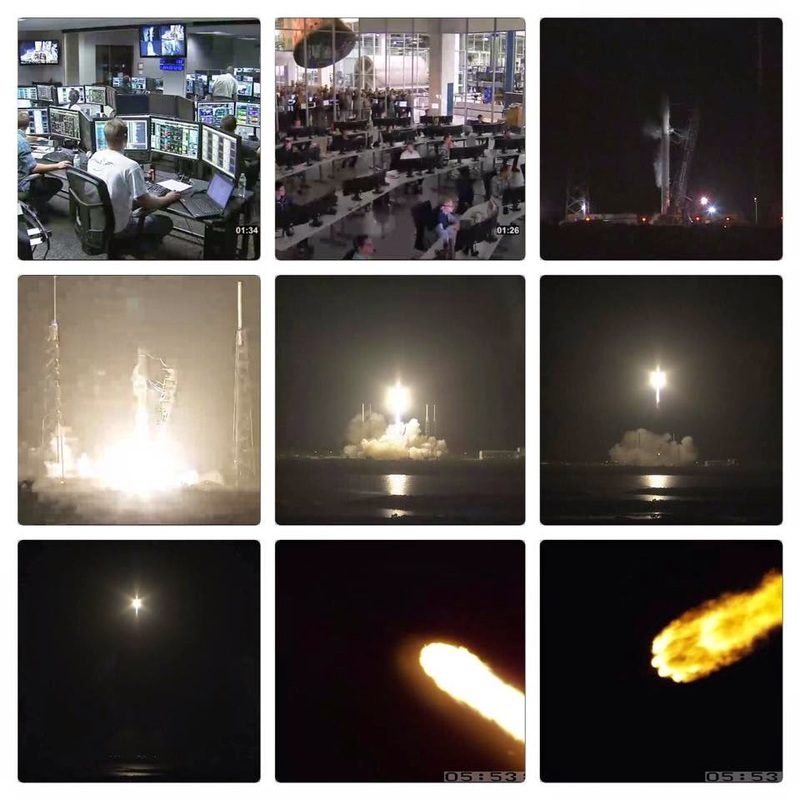 At 1:52 AM EDT on Sunday, September 21, 2014, SpaceX launched its Dragon capsule aboard a Falcon 9 rocket to deliver cargo and several science experiments to the ISS. It had been scrubbed from the previous evening due to weather constraints, but I stayed up and watched the launch via NASA TV. I'm always excited to see a launch! Here is my photo collage from the launch! 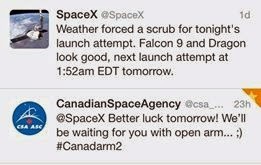 Also check out the space humor between agencies - see tweet below from the Canadian Space Agency to SpaceX after the initial scrubbed launch! OPEN ARM, HA!